The polymerase chain reaction (PCR) has come a long way during the past three decades to become one of the fundamental platforms in life sciences sector. Normally, this is a sufficiently long period for a technology to mature and the market to move to decline phase. However, the PCR industry is witnessing increasing excitement both in terms of innovation and demand. The expiry of key PCR patents is one of the major factors driving this growth allowing more companies to get involved. These new and emerging companies are actively involved in developing new applications and expanding the market to various end-use segments. Even though the technology is considered mature, the demand is still on the rise due to this market expansion. Enthusiasm in the emerging markets is particularly visible and is a major driver of the demand. Overall, these developments are offering improved accessibility to PCR-based diagnostics and other products. Automation and multiplexing are improving the technology in terms of its ease-of-use and speed making the technology more user-friendly and effective. These critical factors have significant impact in end-use markets. For instance, physicians are adapting to PCR-based screening and disease diagnosis in critical medical diagnostics areas even in emerging countries. Responses from regulatory bodies across the regional markets are also promising, encouraging the utilization of PCR tests in various end-use segments. Even in this almost “post-patent era” of PCR, the market players are facing significant challenges while treading in the murky waters of PCR patents. Careful analysis to identify patents that are still enforceable is needed, depending upon the markets being considered. The high cost of commercial PCR assays is another challenge, particularly in clinical diagnostics field. Alternate technologies such as NGS are also emerging as threats to the PCR market, since they have the potential to make PCR obsolete in many end-use segments as their cost efficiency improves. The emergence of dPCR could also prove to be a threat to real-time PCR in at least some of the end-use segments. Digital PCR is currently in its initial growth stages, and the application of the technology in various clinical segments is being actively promoted by the technology suppliers. The recent report published by AcuBiz Consulting titled “The Worldwide Markets of PCR Technologies” estimates the global demand for PCR technologies in 2013 to be around $10.6 billion. The demand grew from 2012 by 6.1% in 2013. The market is expected to grow at a compound annual growth rate (CAGR) of approximately 8% to reach $15.6 billion by 2018. Regionally, the report divides the global market into North America, Europe, Asia Pacific (APAC), and ROW. While North America is expected to show continuous growth trends, growing at a CAGR of 6.1%, the APAC region shows the highest growth potentials. This region is forecasted to grow at a CAGR of 11.2%. In terms of end-use segments, the largest application segment for PCR products in 2013 was medical diagnostics, as presented in Figure 1. The demand for PCR products for medical diagnostics applications is expected to grow at a CAGR of 8% between 2013 and 2018. The largest subsegment within medical diagnostics is infectious disease diagnostics. There is a rising demand from patients as well as physicians for speedy and accurate diagnosis at affordable costs, which is driving the demand for PCR assays in the medical diagnostics field, even in emerging markets. Figure 1. Global demand for PCR technologies by end-use segments, by value (USD, billions). Detailed patent analysis with respect to various PCR technologies during the past three decades shows growing patenting trends in all the key end-use segments. The patent analysis clearly indicates a rise in PCR application development activities in these segments, as expected after the expiry of key PCR patents. Cancer, infectious diseases, and food safety testing include some of the other major end-use segments where activities related to patenting of PCR diagnostics tools are highly intense. Cancer has been an area of focus of PCR patents since its early years. The intensity of patenting in this area is still high and growing strong as indicated in Table 1, where the number of patents related to key oncology segments during the past decade and the past three years are compared. 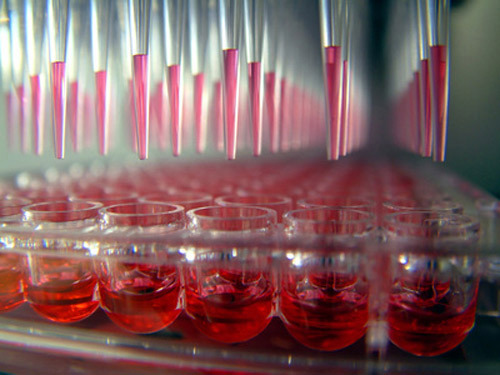 For instance, leukemia-related PCR patents accounted for almost 25% of the total PCR patents indicating that PCR is a cornerstone of molecular diagnosis in leukemia research. In general, many different types of cancers became the focus of PCR assay developers during the past decade, and the trend is intensifying as evident from the increasing numbers of patents during the past three years in Table 1. Occasionally, the increasing patenting activities are in correlation with the launch of novel drugs or vaccines indicating a sudden rise of focus on the targeted disease by the healthcare industry. For example, the launch of the Gardasil vaccine in 2006 against HPV and hence as potential prevention for cervical cancer could have influenced the rise in patenting activities related to cervical cancer diagnostics during the past decade, which is still continuing as indicated by the number of hits during the past three years. Regulatory landscapes play significant roles in influencing the growth of PCR markets. The emergence of PCR as an important tool in various end-use segments across the globe is in accordance with the increasing approval by regulatory authorities in the regional markets. Key regional markets are analyzed in detail in the report for understanding the regulatory landscapes. The medical diagnostics and food safety testing segments where application of PCR tools are becoming popular, leading to increased attention from regulatory agencies, are particularly analyzed since more regulations can be expected in these fields during the forecast period. The report includes analyses of various guidelines regarding PCR data collection and interpretation in key end-user market segments. The PCR market is consolidating as key players are being bought over by bigger diagnostic companies. The acquisition of Life Technologies by Thermo Fisher Scientific in February 2014 is a typical example of this market trend. However, the numbers of new market entrants are increasing. The focus of many of these new companies includes development of new PCR diagnostic products targeting new end-use segments. Some of these companies are based in emerging markets such as India, China, Korea, Southeast Asia, Latin America, and Eastern Europe. While most of these are small and startups, their influence in shaping the demand in their respective domestic markets cannot be ignored. Syamala Ariyanchira, Ph.D., (syamala@acubiz.com.co) is a principal consultant at AcuBiz Consulting, a Malaysia-based life sciences consulting firm.